The 2018 Nissan Altima proves that driving a mid-size sedan can be exciting, safe and highly rewarding. With new standard safety features for 2018 and its constant stylish design, the 2018 Altima is sure to impress car buyers! Drivers near Valdosta and Albany, GA can shop and explore the new Nissan Altima sedans at Tenneson Nissan in Tifton, GA.
A NissanConnect® system with Navigation plus Mobile Apps is a popular optional feature that pairs with the Altima's large color touchscreen monitor. Nissan's Altima continues to be a popular choice when shopping for a new sedan, thanks in part to its sporty styling and stellar performance and efficiency. Drivers who select the standard 2.5-liter 4-cylinder engine with Nissan's Xtronic CVT® (continuously variable transmission) will experience one of the most fuel-efficient powertrains in the mid-size sedan class. The 2018 Altima sedan's standard 4-cylinder engine rivals many compact and subcompact cars when it comes to EPA-estimated MPG! The Altima's available V6 engine delivers a thrilling 270 hp and also comes coupled with Nissan's Xtronic CVT® to deliver instant acceleration and optimized efficiency at any speed. To find a new Altima or used mid-size sedan around Albany, GA, start shopping the extensive inventory at Tenneson Nissan today! As you shop for a new car here on our website, you can also get pre-approved for auto financing. Our Nissan dealership serves drivers and families near Valdosta and Albany and beyond with new Nissan and used car sales, financing and professional auto service in Tifton, GA.
For 2018, Nissan has once again enhanced its popular Altima mid-size sedan to make it even more attractive to drivers and families all across America. While the 2018 Nissan Altima retains the striking style and stunning performance of the 2017 Altima, the 2018 model has been upgraded with key safety features that not only provide greater peace of mind for drivers and passengers alike -- but greater value for your money, too! Every 2018 Nissan Altima now gets autonomous emergency braking and forward collision warning as standard equipment. That's right; from the 2018 Altima 2.5 S base model to the range-topping Altima 3.5 SL, each comes fitted with advanced forward collision alert and braking technologies! Intelligent Cruise Control: Utilizing sensors at the front of the vehicle, Intelligent Cruise Control can maintain a set following distance between your vehicle and the vehicle in front using cruise control. Front and Rear Sonar System: Complementing the standard RearView Monitor backup camera, this sonar system alerts drivers as they approach obstacles while parking or backing up, at the front and rear of the 2018 Altima. Rear Cross Traffic Alert: This system helps detect vehicles crossing your path from either side while you are backing out of a parking space. Blind Spot Warning: While on the road, Blind Spot Warning detects if a vehicle is driving in your blind spot and alerts you before you change lanes. Intelligent Forward Collision Warning: This warning can alert you to potential risks up ahead, including other vehicles. If a vehicle suddenly slows in front of you, the collision warning will alert you with audible and visual cues. Automatic Emergency Braking: Combined with Intelligent Forward Collision Warning, this automatic emergency braking system can determine if automatic braking is necessary and brake for the driver in emergency situations. 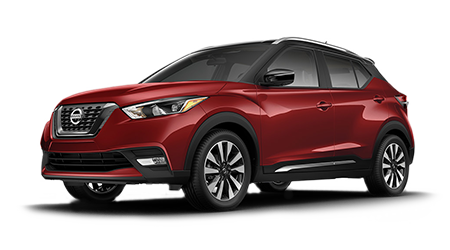 Of course, the 2018 Nissan impresses not only with its new safety features, but its convenience, comfort, performance and technology amenities, as well. The 2018 Altima 2.5 S base model starts it all off with a RearView Monitor for added safety while in reverse gear, plus Nissan Intelligent Key with push-button start and Bluetooth hands-free phone system to enhance security and convenience. For a sporty driving experience, see the Altima SR models, which add a sport-tuned suspension, paddle shifters with manual-shift mode and 18-inch alloy wheels. Upscale amenities are extensively featured on the 2018 Altima 2.5 SL and 3.5 SL models, including leather-upholstered seating and a premium audio system. If you are looking for a new sedan that delivers impressive safety, technology and style, see the 2018 Nissan Altima at Tenneson Nissan, serving drivers near Valdosta and Albany. You can shop for a 2018 Altima or another new Nissan here on our website, or visit our dealership in Tifton, GA at your earliest convenience for a test drive of your Nissan of choice! Those looking to benefit from the new Nissan Altima's technology package will love all of the added capabilities that this package brings them on top of technology they already have in the cabin. The new Nissan Altima is a desirable choice for those looking for an affordable mid-size sedan with subtle design cues. The added technology package builds on what's already great about the new Altima! The Nissan Altima 2.5 SL offers a premium technology package that will leave drivers near Albany, GA enticed with not only entertainment options but with safety as well. Experience a complimentary 3-month trial access to SiriusXM® Traffic and Travel Link. You can access all of your essentials with the available 7.0" multi-touch control color monitor. The technology package offers Apple CarPlay and Android Auto, which grants smartphone users access to their favorite applications like the Nissan Navigation System and NissanConnect Services. But these aren't the only services you gain access to with the upgraded Nissan technology package. Experience a safer ride with upgraded interior features like the Intelligent Forward Collision Warning and Automatic Emergency Braking Systems. These new safety features will be standard on all trim levels. 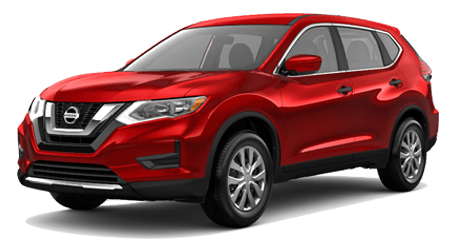 State-of-the-art technology is no longer exclusive to higher trim levels, thanks to Nissan's initiative for the 2018 new vehicle lineup. In addition to the smartphone connectivity, drivers in Tifton, GA will also appreciate a vehicle that remembers them. Nissan Voice Recognition works well for both navigation and audio when you're driving a new Nissan Altima. Express yourself with LED headlights with signature and smoked headlight housing. The premium amenities seem endless when you get to take advantage of the power sliding glass moonroof with the one-touch open/close and tilt feature! The Nissan technology package* is a gift that keeps on giving, visit our dealership in Tifton, GA and experience all that our new Nissan Altima inventory can offer you! Feature availability remains dependent on vehicle model, trim level, packaging and other options.